With its combination of desert and mountain landscapes, the dramatic canyons of the Rio Grande, ancient pictographs, and remnants of pioneer ranch life, Big Bend National Park presents a wealth of subjects to the photographic eye. Add early morning and late evening sunlight, summer thunderstorms, and clear, star-spattered night skies, and the opportunities become irresistible. 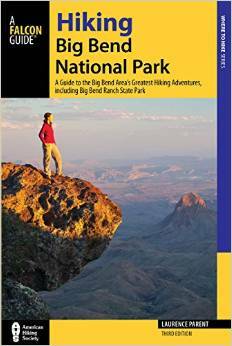 Professional nature photographer and frequent Big Bend traveler Kathy Adams Clark offers this handy and beautiful guide to maximizing the photographic experience of this visually stunning landscape. Photographing Big Bend National Park begins with a tutorial on the basics of light meters, shutter speeds, and f/stops, featuring practical, hands-on-camera exercises and answers to common questions. 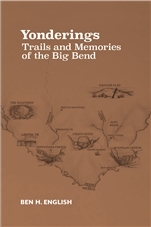 The chapters that follow take readers on six excursions to well-known locations within the park—the Basin, Panther Junction, Rio Grande Village, Ross Maxwell Drive, Santa Elena Canyon, and the Chisos Mountains among them. A primer on night photography (including “light-painting” and star trails) is also included. Within each chapter are instructions for photographing various subjects at the site using simple, intermediate, and advanced techniques; information on the best seasons to photograph; and tips designed to benefit the novice. 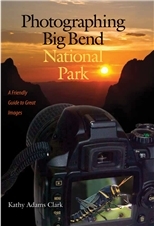 Photographing Big Bend National Park not only provides practical information for photographers of all skill levels, it also offers a visual feast of striking images. Nature lovers, photographers, and anyone who loves this remarkable national park will treasure this latest book from veteran writer and photographer Kathy Adams Clark. 2013, Texas A&M Press. 5.75" x 8.5" flexbound, 144 pages, 121 color photographs.